To help get your inspirational motor running, here are 50 techniques for generating great blog post topics. Two words: Google alerts. Set an alert with a few industry keywords, and ask it to deliver at least 20 stories a day. Read the headlines and throw interesting links into a file for future use. When you get several related stories, you’ve got an instant roundup piece. Skim national newspapers and magazine stories. How does national news such as the recession affect your readers? Talk about national trends, and your audience will come to rely on you to tailor big news to address their concerns. Ask yourself, “What’s missing?” or “What will happen next?” Answer the questions those national rags didn’t address. What’s the next domino that will likely fall as a result of this piece of news? Point it out, and your readers will feel you (and they) are ahead of the curve. Read small publications. If you have an expertise blog, check the experts’ columns in local papers or business weeklies. Few people outside your community will have read these, and their topics are often easily recycled. Read trade publications. Trade pubs cover every imaginable industry and they’re a great source of trend ideas, from Ad Age to TWICE (This Week in Electronics). They’ll also track new companies and products you might mention (see #39). Read your competitors. I subscribe to several competing blogs on my iGoogle desktop, for real-time headline scanning. If you write on a similar topic, you can give the other blog link love. Riff on a popular post. Grab yourself some high-powered linkage by posting your reaction to a big-time blogger’s thoughts. Try a new medium. Burned out on the blogosphere? Look at YouTube videos, listen to podcasts, or watch good ol’ fashioned TV shows or radio broadcasts. Think about pain. Focus on topics that would provide balm to their wounds. Talk to a friend. That’s right — use your lifeline, just like on the reality TV shows. Jawing about a problem usually helps ideas bubble up. Tackle a controversy. Weigh in on your industry’s hot topic. This can be especially effective if you have a contrarian viewpoint. Join a blogger’s group. Knowing your group will ask what you’re posting should help concentrate the mind. Hearing what they’re blogging on will no doubt suggest subjects for you to cover, too. Scan industry conference schedules. The list of session topics offers a quick guide to your audience’s hot-button issues. Get a critique. Find a mentor. Have them look over your blog and point out what’s missing. Mine your hobbies. People love posts that offer an unusual perspective on your topic. Do an interview. Do you have a favorite thinker in your space? Get in touch. You’ll be surprised how many authors and thought leaders are game for a quick Q&A. Review your greatest hits. Read your most popular past blogs. Look for ways to take a slightly different angle and further illuminate the same topic. Write a sequel. If something has happened recently that puts a new light on a past blog post, update your readers. Write a new entry and link it back to the old one. Have a debate. Invite someone you strongly disagree with on for a point/counterpoint blog post. Learn from TV dramas — what do we love? Conflict, conflict, conflict! Stop worrying you’ll look dumb. Buck up and be brave. Try a post idea that you’ve been scared to tackle. Ask a question. Is there an industry issue that you’re undecided about? Discuss your mixed feelings. Write something else. Anything. Like, a letter to your mom. A wish list for Santa. Anything that gets you into a completely different mental space. 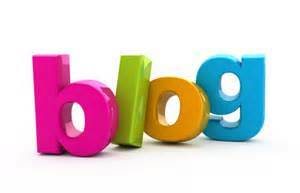 Return to your blog once the writing wheels are turning. Talk about your mistakes. Folks love to hear about how other people screwed up. Be honest and talk about what you learned. Make a prediction. Everybody — everybody — wants to know what’s going to happen next. Grab attention with your thoughts on the future of your sector. Review the past. How has your industry changed in the past 5 years? 10 years? Look for milestones for reflection. Create a regular feature. For instance, if you do a weekly news wrapup every Saturday, that’s one post you know you have covered. Where are they now? If you know of an industry bigwig who’s been out of the spotlight but now they’re back, check in with them. Write about their new venture. Change your view. Go to the park, a (different) coffee shop, a museum, your backyard deck. Leave your usual writing cave. Eavesdrop. While you’re out, tune in to other conversations and see where they take you. Take a hike. Most writers could really stand to exercise more. It stimulates the brain, and topics will come to you naturally. Just make sure you bring something to take a few notes with. Take a bath. Ideally, after the walk, That warm water just seems to release the creativity, doesn’t it? Take an entire day off — every week. It’s a life-changer. Mine is Saturdays. Hit your own “refresh” button and return ready to rock your blog. Take a poll. When in doubt, ask readers what they’d like you to write about. Hold a contest. Provide a provocative fill-in-the-blank line, or give a prize for the best question. Presto: Instant post idealist. Keep a journal. Ideally, that you write in first or last thing daily, when you’re unfocused and allow uncensored thoughts. Free associate. Take five minutes and just scribble about your blog. See what percolates up. Do a mind map. If you’re not familiar, mind mapping is a technique for visualizing how topics are related to each other. Draw a chart with branches for all the main topics you cover, to get a picture of where they might sprout new stems. Do a book review. Tell readers if the hot new book in your niche is insightful or inane. Do a product review. Ditto the book reviews, only for stuff. Is it a ripoff, or valuable? Run your analytics. The most popular keyword phrases that bring people to your site provide a ready-made road map to your next post topics. Read your comments. See what readers have asked about that you haven’t answered yet. Read your competitors’ comments. If your blog doesn’t have a lot of comments yet, go mine someone else’s. Read your social-media group’s questions. What are people chatting about? Answer on your blog, then go back and provide a link. Tweet about needing ideas. Or post it on your Facebook or LinkedIn status. Let your connections do the work for you. Hit an industry networking event. As you chat people up, mention your blog. Ask what they like to read about. Attend a local community event. Compete in a zucchini race, volunteer at a charity auction. Get out of your head and laugh a little. Think funny. While you’re laughing, consider writing a post that’s satirical or humorous for a change. I know funny bloggers are among my personal favorites. Take the one-hour challenge. You must find a post idea in the next hour. Go downtown, stick your head in shops, chat people up. Recruit a guest. Or two. When all else fails, call for backup. Sometimes you just need to take the pressure off so your post-generator has a little time to recuperate.